This is written live. From a house at the foot of The Conor Pass. If I went to Croke Park for the Kerry-Galway game, I would have had to miss the after party of my daughter's wedding. This is also a sick note to the sports editor. My poor mother told me she suffered terribly from the morning sickness. The condition is obviously hereditary. An ordinary man would be getting washed for the clay today if he went through all I had to endure. I banned the Hokey Pokey. This time it was Riverdance that did for me. Twisted the ankle. I'm not sure if it's fair to say Bono and the dancers cost Galway an All-Ireland but Jim Gavin did complain. Jim says the surface was damaged after one of the concerts. So could Ed Sheeran have cost Dublin the three in a row? The pitch was slippy in places and the ball skidded off the surface like a skin the cat stone skimming the surface. Did you know there's plastic grass sown in to real stuff like that in a hair replacement clinic for bald patches. Kieran Donaghy cuts the hair very short. He was outstanding at the end of the long ball. He ruled the skies even though his marker was that tall he would have to dip down going under The Port Tunnel. The three corner forwards on the TV were very wise and funny too. Spillane, Brolly and O' Rourke are a show in themselves. There was a time when corner forwards were hung, drawn and quartered. The corner forwards' bill of rights was a Christian burial. The umpires were silent voyeurs. But now one touch and it's a free. A pull down is a black card and the umpires sometimes pick up on the turning of the tail of the jersey in to a rolled up stress ball. So, in short, it is nearly impossible to beat a good inside forward. That said, Kerry gave Galway four goal chances. Brian Kelly made two great saves and two more were cleared off the line. Cork had four goal chances against Kerry. If I were Eamonn Fitz I would introduce more pace. I know the player, have since he was twelve and Jason Foley from Ballydonoghue is young but he has what it takes. Croke Park is as much about running now as skill. Football is a completely different game in Croke Park. Foley is a sprint champion and he is a good footballer. Think Jack Gogarty. He's that good. 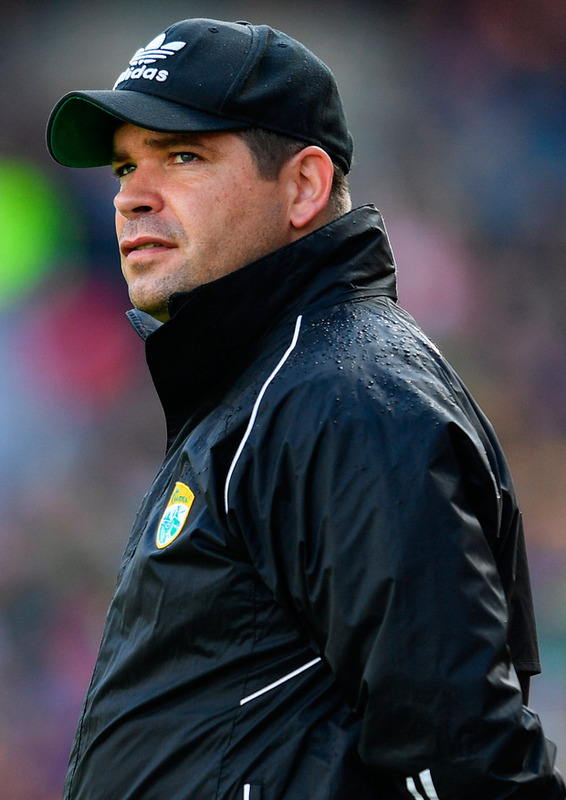 Kerry need to improve if they are to win an All-Ireland but we did so much that was good, especially in the air. Galway went out to keep the score down even though they have some superb forwards. Galway were very defensive for Galway. They never gave in and if one of the goal chances went in we would have seen what Kerry were made of. Galway Races kicks off this evening and I won't be there either. I have to stay in delightful Dingle for the party after the after party. There's an expression in horse racing, "badly in need of the run." This is the Kerry form going into the semi-final. The next few training sessions will be absolutely savage. The good thing was Kerry got better as the game went on. The Kerry bench was good and only Dublin can match our reserves. Road makers avoid bends at all costs and so the journey is quicker if the highway is straight. Stephen O'Brien understands this fundamental principle. He goes directly for goal. Barry John Keane went full belt and straight. Here's a geometry question: If you were driving from Limerick to Dublin would you go back to Limerick when you were halfway to Dublin? You wouldn't. Well that's what modern Gaelic footballers do when they are on the attack. They pass the ball back to where they started. Makes no sense to me either. There were times when I was shouting at the TV. The lateral passing drives me nuts but up here at the foot of the Conor Pass there was no-one listening. Maybe I could borrow a megaphone from Jobstown. Kerry need to play at full tilt and with more urgency. There could be a problem with fitness and injury to some key players. Right now Dublin are the hottest of favourites. I snuck up to watch them play Westmeath and it seemed as if they were as good as ever. Another haunting is being hatched in 2017 in the city of Bram Stoker. Galway's season is over yet again before August. There was a time when we couldn't beat them. I was an even smaller boy than I am now when they defeated us for the second time in row in an All-Ireland final. It was my first All-Ireland and I'm only just barely getting over it now. This was the first Kerry-Galway game I've missed since 1965. That Galway three-in-a-row team played attacking football. Go back to the past Galway. Attack is your natural fit and there's glory to be had in defeat if you charge at the enemy guns. I'm not that far from Paul Geaney's family pub. His cousin Mikey's family pub is no more than a good couple of kicks away. We will call in later on for a celebration. Kerry did win and we will get better.